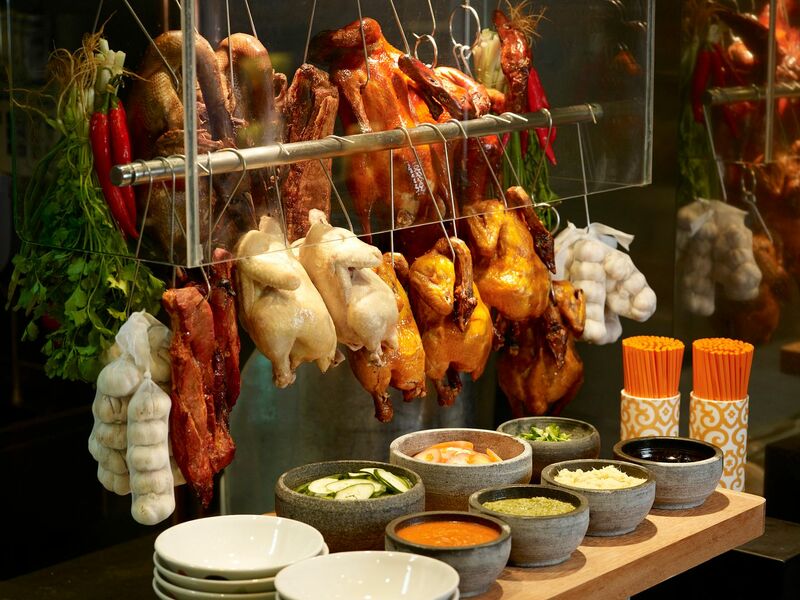 The all-day dining restaurant has a South East Asian market feel and offers up sumptuous buffet spreads at nett prices. I popped by for lunch on a weekday afternoon and the entire restaurant was packed. J65 is especially popular as a destination for corporate events or large gatherings. 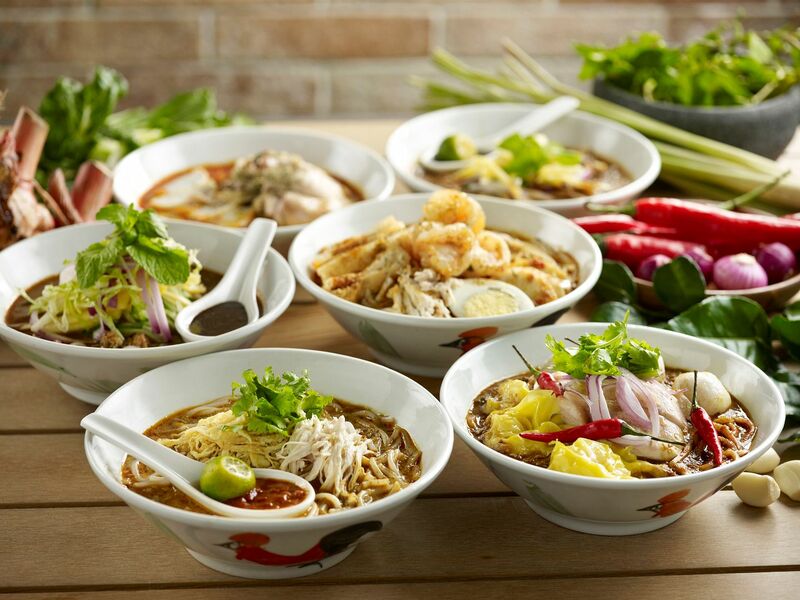 Fans of laksa will be pleased to know that six different types of laksas are available here. The Singapore laksa stood out the most with its robust flavours. As tastebuds evolve, more people are seeking healthier options when it comes to eating out. J65 has tailored their menu to cater to everchanging preferences. 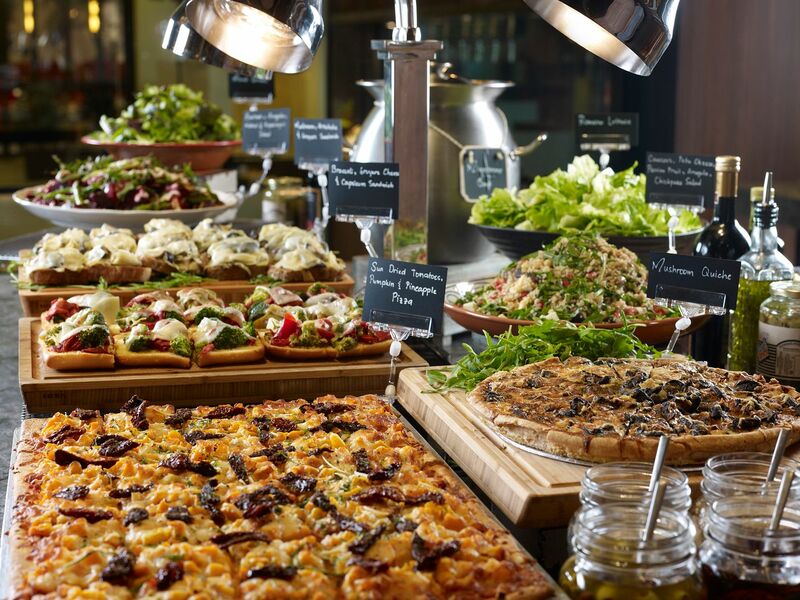 Their buffet lunch comprises a range of gourmet salads, and they focus alot on vegetarian dishes such as mushroom quiche, kale pizza, minestrone soup, pumpkin soup, vegetable gratin and more. I took a particular liking to the mushroom quiche and pumpkin soup even as an ultimate carnivore. That surely says something about the food here. Roasted delights are also one of the highlights here. Fragrant chicken rice is available in both white and brown rice versions. The buffet spread for lunch also features brown rice sushi, breads, cheese, sashimi, seafood on ice, different types of juices and a wide selection of dessert. I gave the chocolate brownies a miss but my dining partner shared hers with me and boy, was I pleasantly surprised by the rich and dense brownies! The dessert selection also consists of local kuehs, a range of icecream, condiments to dress the icecream with, and pudding in jars. 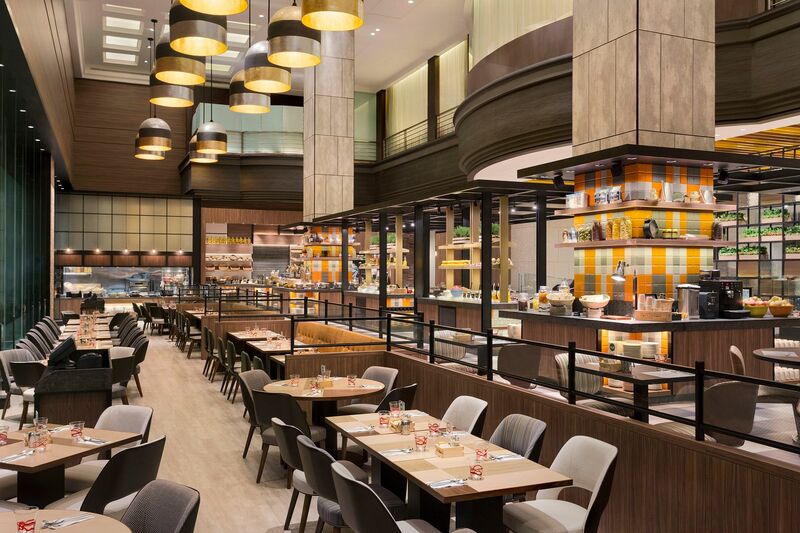 For $29 nett, the lunch buffet is definitely value-for-money. Especially perfect for those looking to eat clean and healthy.